Friends are the family we choose ourselves. With friends it is easy and free to everything from happiness to sorrow, success to failure, secrets, and everything in life. Life without friends is impossible. One of the most beautiful qualities of true friendship is to understand and to be understood. 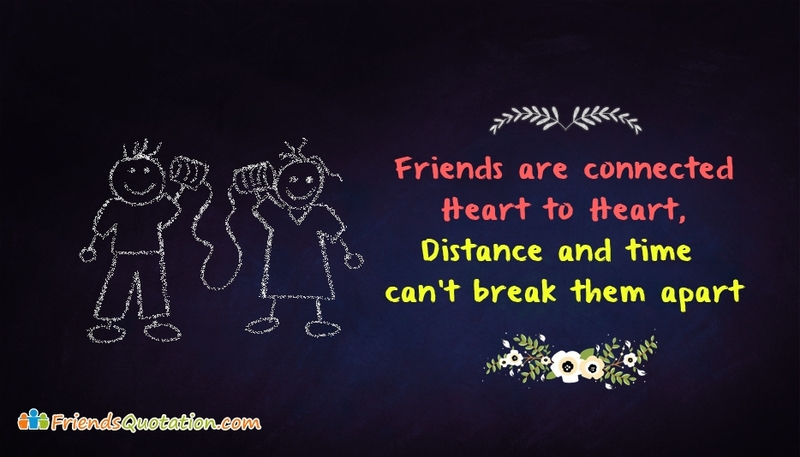 Given here is an awesome quote on friendship, that says "Friends are Connected Heart to Heart, Distance and Time Can't Break Them Apart". Share this quote with all your best friends who are far away from you through social medias. Keep connected with your friends and let them know how much you value, love and care for them.